Educating the public is one of the most important aspects of our mission. We know that proper education and knowledge is critical for the sustainable development of the sea. 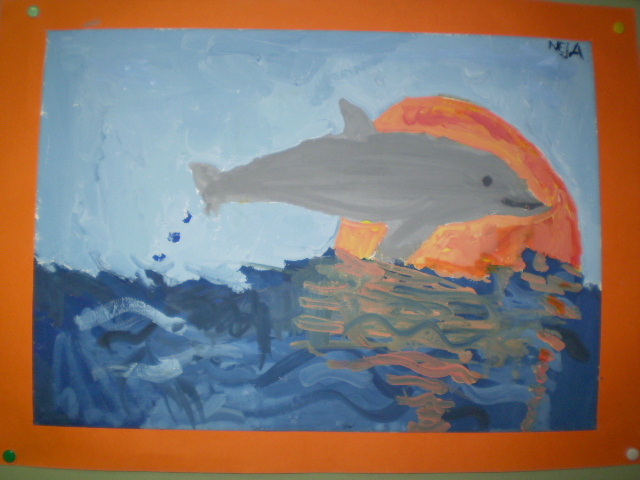 We aim to share with people everything we learn about the sea and the marine mammals that depend on it. The more people understand how their actions can either help or hurt the sea and surrounding environments, the greater the chance that we can all preserve this area’s remarkable biodiversity. We do our best to reach the broader public and push knowledge about marine research, government and fishing regulations, animal rights, ways to help, and the list goes on. For more details and photos about how we accomplish all of this, read further and consider stopping by one of our fun, informational gatherings. If you’ve got an event that would benefit from some dolphin fun and education, feel free to contact us! 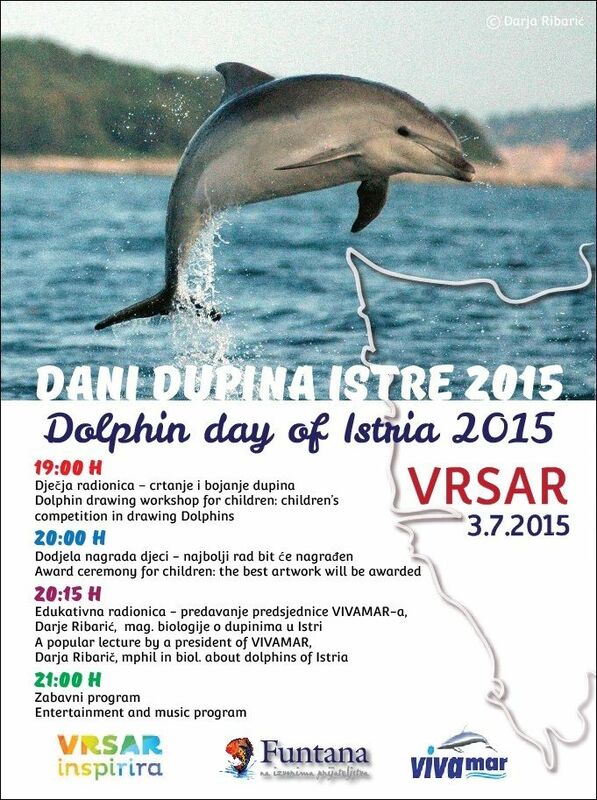 Vivamar society has organized a summer event, Dolphin Day of Istria & Slovenia, for several years now. 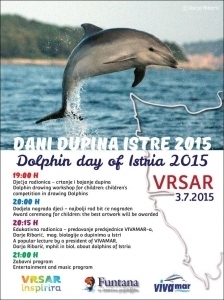 In the last week of June 2016, we will host our third annual Dolphin Day along the coast of Istria, Croatia. Last year there were more than 70 children present with their caretakers. 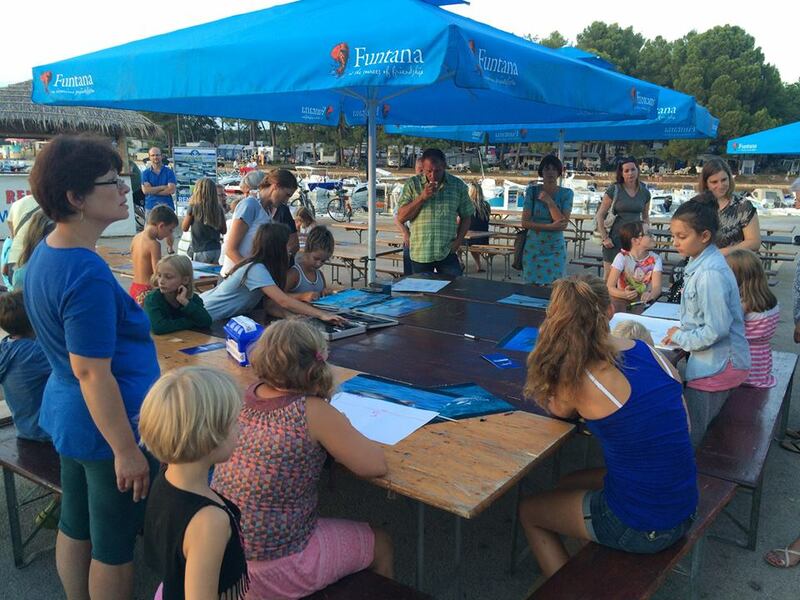 Darja, the Vivamar ‘”captain”, traditionally gives a presentation to curious locals and tourists about the states of the dolphin population and the Adriatic sea right at the marina of a holiday town. 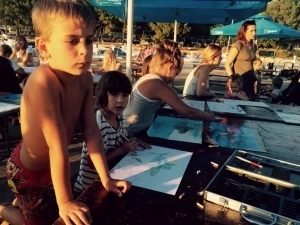 We organize a colorful drawing workshop and reward children for their hard work and creativity. After everyone has learned a thing or two about how we can all help and protect our ambassadors of the sea, we celebrate the dolphins and people who join us with a band so we can dance the night away on the edge of the sea. Vivamar stays active with updates on this website, our Facebook page, Twitter, and soon, Instagram! Sometimes we do interviews with local media stations. Check out this interview that Darja gave for Radio Slovenija 1 about dolphin conservation and protection in Slovenia and off the W coast of Istria. She also talks a bit about shark and sea turtle activities. 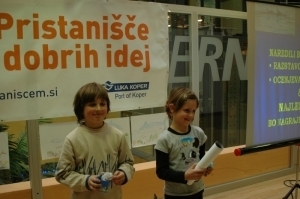 In cooperation with the Port of Koper and its project “Living with the port”, Vivamar Society conducted an educational workshop about dolphins in the Slovenian sea. 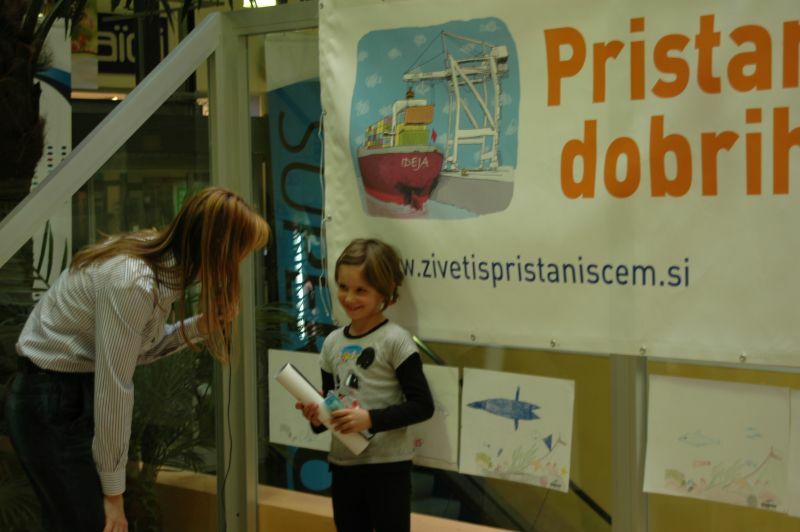 The main topic was: “Does maritime transport affect the distribution and presence of the bottlenose dolphins (Tursiops truncatus) in the Gulf of Trieste?” We combined fun and laughter while educating children and encouraging their creativity and interest about dolphins in the Slovenian and marine environment. 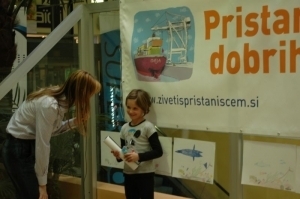 Children learned facts about the importance of dolphin conservation in the Slovenian sea and contiguous waters, including boat code of conduct when dolphins are in the area as well as the importance of dolphins in the marine environment. We always check the impact of our presentations through fun questions and quizzes, and reward children with nice symbolic prizes. 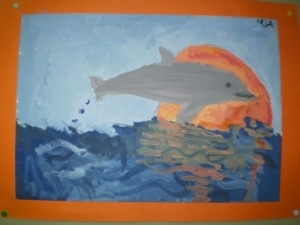 These dolphin facts are definitely something that kids will remember!